It snowed a couple days after Thanksgiving. Gareth was sick so didn't get to enjoy it. 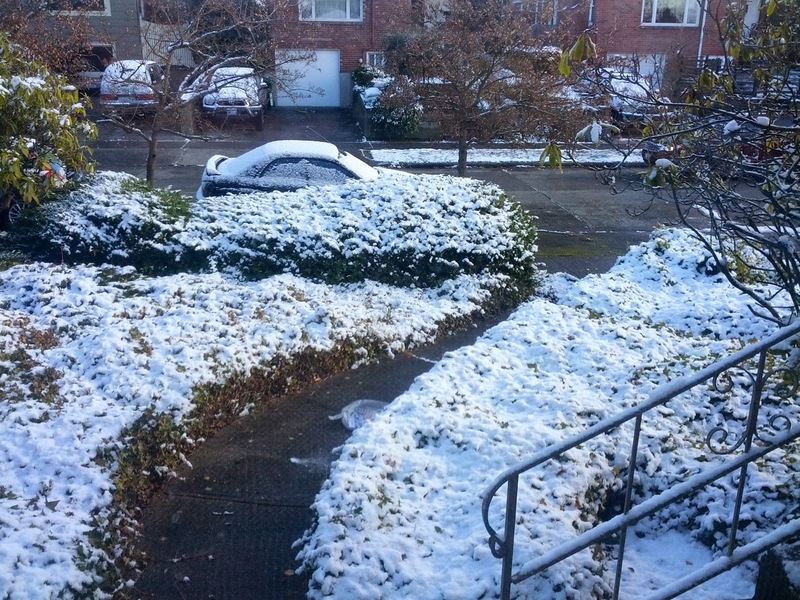 It's unusual to get snow so early in the season. And for it to stick around. We had freezing temps for a few days after the snow, so it took a good week or so to melt. 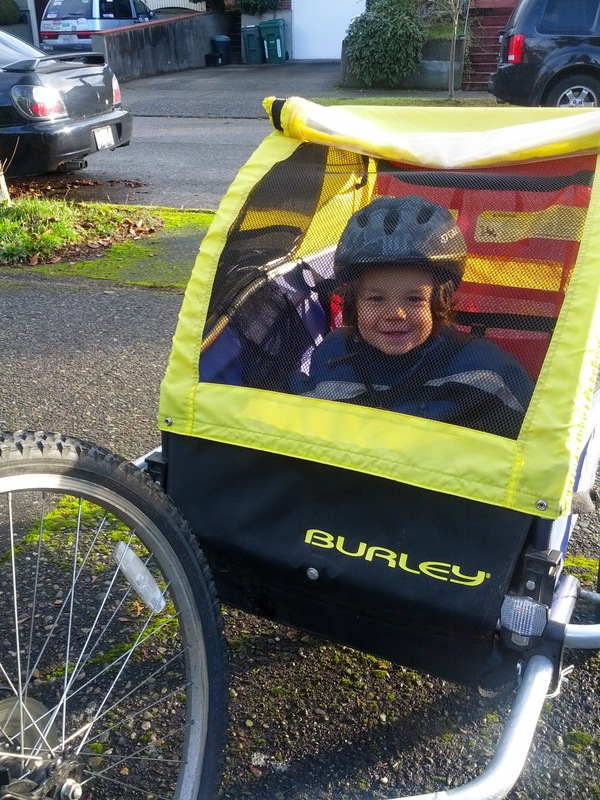 This kid loves his bike rides! (But still won't do much with the balance bike, sadly) Mal has been a bit of a grump due to a cold lately, so it was nice to see him so happy. Gareth has been missing riding his bike to school, so I gave in a couple days this week and we rode, despite knowing it was going to be rainy after pick up. Both days Gareth and I got quite wet on the way home from school, but I figure it was either ride or walk and walking would mean being out in the rain longer. Malcolm had been begging for a tree since Thanksgiving, but was sick when we finally went to get one and wasn't as excited about it as we thought he'd be. He's been excited about having the tree once we got it up though. 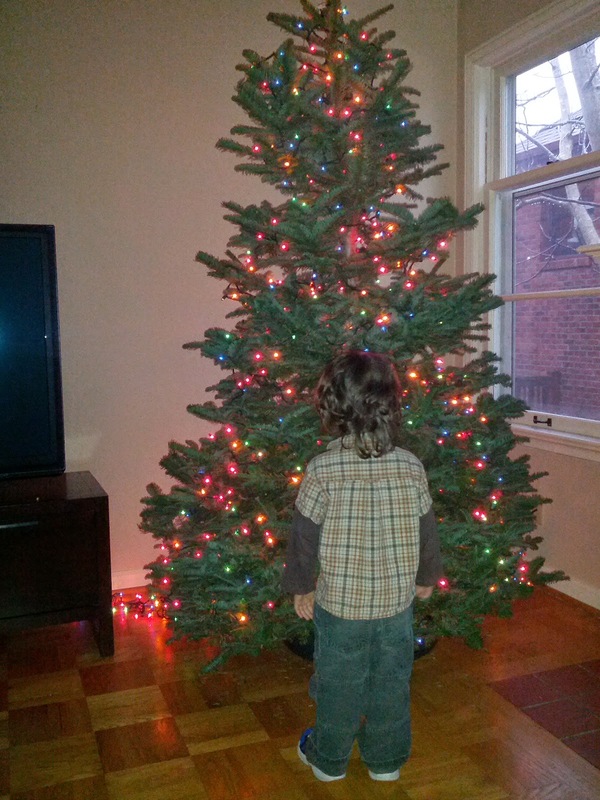 Now that we have the lights on he'll frequently ask to see "Chismas tree lights". Yet again, life is getting in the way and so the ornaments will go on sometime this weekend.